Are people who frequently tan in direct sunlight more or less likely to develop melanoma? I know that indoor tanning puts you at more direct contact, but are the UV rays coming from the machines more or less harmful than those we are exposed to from the sun? I completely agree with you and think that there is a link between tanning and cancer, although not many people nowadays truly realize the consequences of their actions! Society has won over everyone and convinced them to think that being tan is much more important than any health risk. I was completely unaware that indoor tanning had the same effect on everyone, no matter what their age. I had always assumed that the older you are the more receptive you were to skin cancers caused from frequent tanning, but after reading your post I now know that is not that case. I’ll be sure to be more cautious when thinking about spending long periods of time in tanning beds or in the sun. A lot of my friends use the tanning bed now because it is winter and everyone is growing more and more pale everyday. This makes me nervous because bed tanning does cause melanoma and it should be taken more seriously. Our society focuses too much on appearance and it is upsetting to know that people will risk their health all for a little color. This is a common blog topic and it is good that more people are becoming aware of the dangers of tanning. I feel as even with this strong link and evidence of increase risk of obtaining melanoma people who tan are going to continue tanning. It is very sad that those people do not realize the health risks, but at this point most of them have received education on the matter. I also did an article on tanning and the risks and benefits of it. As we all know it can easily cause skin cancer because it is artificial light directly hitting your skin. I never believed my mom when she said it could cause cancer until a friend of mine actually got it! Although everyone wants to be tan, I don’t think indoor tanning is a good option. I like this topic because I think that it is relevant today. So many of my friends go indoor tanning, but I have never gone because I know how bad it is for you. Like you said, although taking into account the genetic background of a person is important before you assume what the their cancer is caused by, I think that there is definitely a strong link between indoor tanning and skin Cancer. 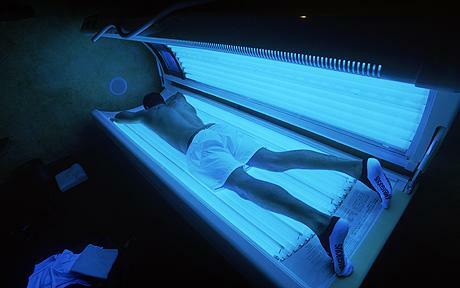 Here is an article that further explains the harmful effects of indoor tanning. This is a very important and relatable topic to a lot of people in todays society. I think people worry too much about their appearance and tend to put their health behind them. It is important to think in the long run if something will actually benefit you. Is a little extra tan worth the risk? Read this article for more risks on tanning.